We have been engaged in offering our clients a comprehensive range of Battery Charger Panel. Our offered panels are devised with Batteries with output 110V/220V with a Max Charging current depending on the type of battery. The offered range of Battery Charger Panel is available in standard sizes and can also be customized as per the need of the clients. 'Unielec' offers Battery Chargers with Integral DCDB's as per curstomers requirement. SKYL ENGG. GOLDEN ELE CO, S S V NIGAM, S S P IND. Everest Electrical Enterprises Pvt. Ltd.
Our firm is a foremost name, occupied in providing a high-quality series of Battery Charger Panel. In addition, we present this product to our patrons at affordable prices. Our rapidly growing organization is indulged in offering a high quality of Battery Charger Panel that is available in numerous specification. Owing to the rich industrial experience and expertise in this business, we are involved in providing Battery Charger Panel. We are reckoned as one of the premier manufacturers of battery charger panels for power projects. These DC battery charger panels are effective for emergency supply in power plants and are made for reliable source of power. With constant support of our employees we are engaged in delivering Battery Charger Panel. We are looked upon as one of the stupendous Battery Charging Boards Manufacturers in India. 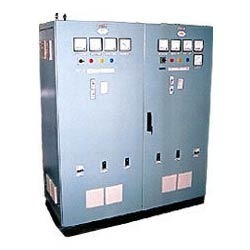 The Battery Charger Panels are extensively demanded due to applicability in various power projects. 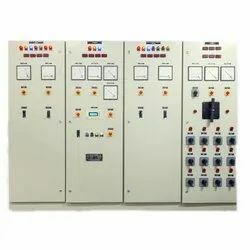 Our Automatic Battery Charger Panels are ideally designed for emergency supply in power plants. Moreover, for reliable source of power, we manufacture DC Battery Charger Panels.